Anchorage Assemblyman Christopher Constant hosts a weekly discussion about all things Anchorage. The well-known blogger and onetime speedo-wearing political candidate dives deep into the pool of Alaska politics. Tune in. Buckle up. Kirsten Swann, a longtime Anchorage reporter and creator of the Mountain View Post, sits down with guests every Saturday morning to chat about Anchorage' s most diverse neighborhood. ​We've also picked up quite a few new music shows. See the entire program schedule HERE. Email us know if you'd like to host a show -- outnorthradio@gmail.com. Interest in local, community-focused radio continues to grow! KONR-LP was recently featured on the FRONT PAGE of Alaska's biggest newspaper. A few weeks before this, we also had a killer feature in the Anchorage Press. Thanks to all of the volunteers who have stepped up and generously dedicated time to putting together radio shows. Let's keep the weird going! This town is incredible. At times, it can seem like Anchorage is overrun with shootings, stabbings and any myriad of nefarious garbage. But when things get bad, we look out for one another. We want to thank everyone - volunteers & listeners - who came out in support on KONR after our studio was burglarized. Thieves stole our computers, record player and mixer, but we were back on the air (with donated gear) in a matter of hours! We also want to give a huge thanks to Steve over at Obsession Records. He saw our Facebook post and offered to donate a brand new record player to KONR. Thanks, Steve! KONR-LP lives, thanks to this incredible community! "In the twilight hours between Thanksgiving and Black Friday, a small group of people braved the chilly night air to gather at a seemingly inconspicuous 4th Avenue alleyway in the Sunshine Plaza. Behind closed doors, Cameron Willingham and his sister Katura greeted their frozen guests with warm embraces before darting off to find auxiliary cables in the nooks of the building’s dimly lit rooms..."
Click here to read the complete writeup in the Anchorage Press. As you've likely heard by now, some bastards broke into our studio and made off with 2 computers, a turntable, 2 mixers, a battery backup, $5 from the donation jar and ALL of our pens. We're not the kind to wish ill will upon any of our fellow men or women, but these clowns need a serious adjustment. Thankfully, we have some awesome volunteers who spent their entire Saturday rebuilding an on-air computer to get the station back on the air. The cats at Beats Messiah even threw an impromptu party and raised enough money to replace some of the gear. At this point, we're still without a turntable. We're also planning a YUGE fundraise in January, so keep your ears on. Much love and many thanks to all of our rad volunteers and listeners who have come forth to help keep KONR alive! Using unwittingly human beings as their guinea pigs the agency tried everything – drugs, hypnosis, electroshock. ​Under code names like MK-Ultra the CIA spent 25 years and 25 million dollars on secret mind control research. Brainwashing could be a powerful ideological weapon and the U.S. had to have it. This was their music. 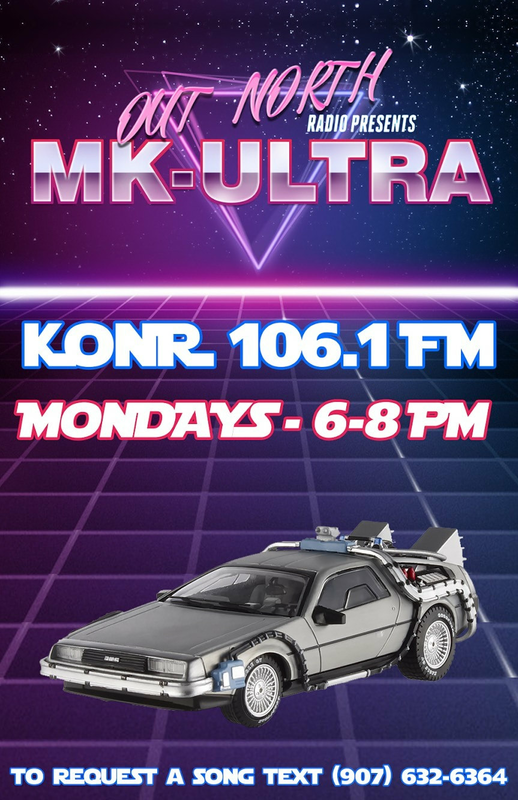 Mondays from 6 - 8pm on KONR 106.1 FM. 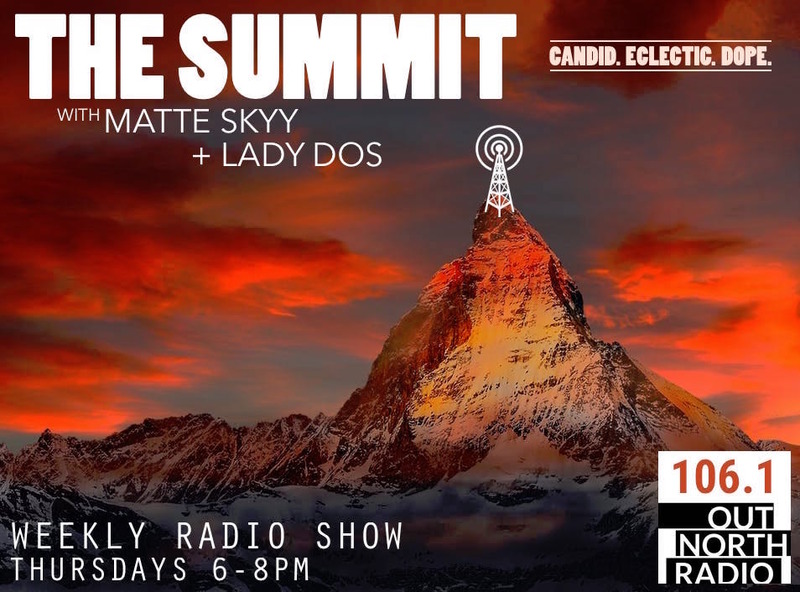 Say hello to "The Summit"
THE SUMMIT is a 2-hour radio show on 106.1 FM KONR - Out North Radio hosted by two deliciously eclectic and eclectically delicious LGBTQ women of color, Matte Skyy and Lady Dos. Live your best life and catch your kweens on the air every Thursday at 6PM and follow @TheSummitKONR on Spotify for their on-air playlists! ​Take ya vitamins, keep ya eyebrow game strong, and tune in for dope music and candid conversation. This is where KONR's new "Studio Sessions" series comes in. It's a monthly showcase of talent from around the state. Musicians perform live in front of a small audience in our downtown studio space. The entire show is simultaneously broadcast live on KONR-LP 106.1FM in Anchorage. This gives the artists the opportunity to potentially reach a much bigger crowd than would ever be possible in a local bar. Want to attend? Rad! Come down to our studio every First Friday at 8 p.m. Seating is very limited, so remember to arrive early. Want to perform? Even more rad! Email us at outnorthradio@gmail.com or send a message to our Facebook Page. - Jason Sear / KONR Station Mgr.